All Inclusive*, 4 Night Minimum, Starting From USD 3,950 Per Night For Exclusive Use Of The Entire Island For Up To 8 Adults Based On Double Occupancy For A 7+ Night Stay. Kanu Can Accommodate Up To 10 Adults And 10 Children. Off the coast of Placencia, Belize sits a rare coral island of incomparable beauty, its white sands sloping gently into the Caribbean Sea. 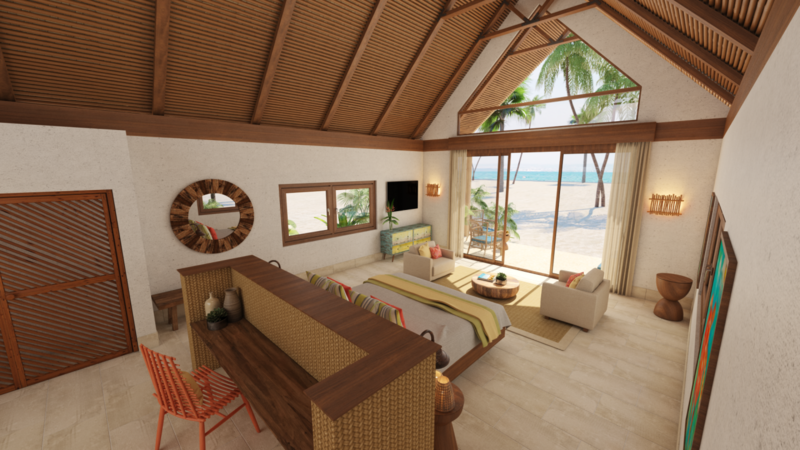 After creating the ultimate escape for just one or two couples at a time with Gladden Private Island (www.gladdenprivateisland.com), Private Islands CEO Chris Krolow and his development partner David Keener have returned to this Central American vacation hotspot to deliver another stylish hideaway. 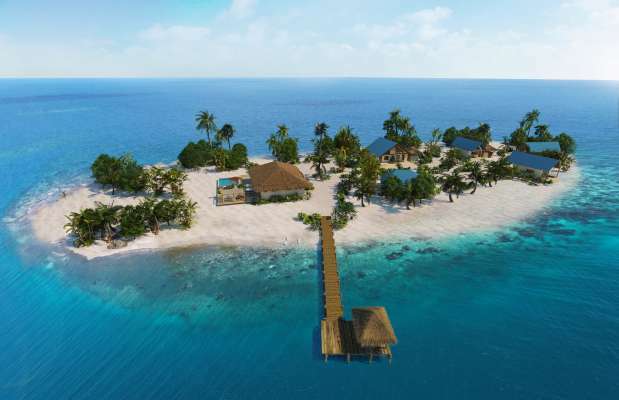 Kanu Private Island, opening in July of 2019, is only 15 minutes by boat from the mainland, but offers a one-of-a-kind sanctuary. The 2.5-acre island ensures privacy with five individual 1,000-square-foot villas, each containing a breezily chic master bedroom suite with family-friendly loft and bamboo ceilings. A central palapa flanked by a swimming pool and sun loungers houses the communal kitchen, bar and living area to bring everyone together. 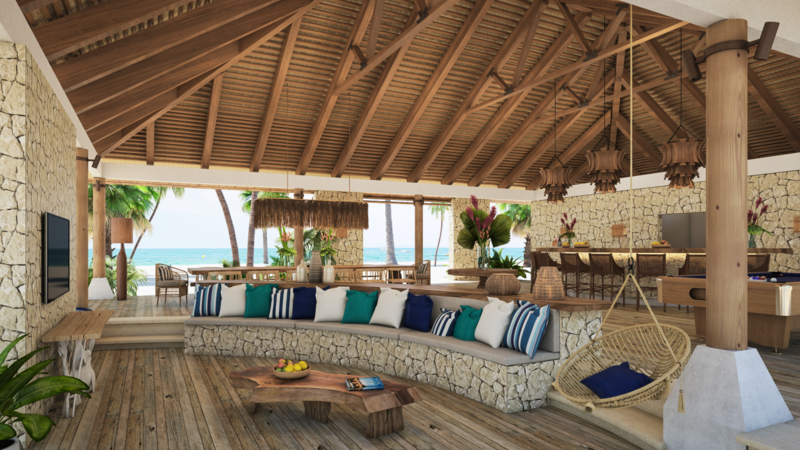 The soothing design palette incorporates coral stone and reclaimed wood, complemented with accent shades of the sea and sun. 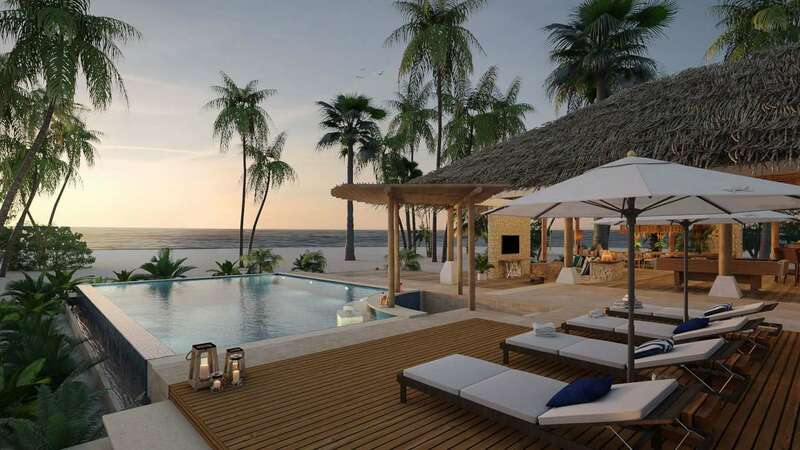 But the real star at Kanu is the dazzling ocean, visible at every turn. The underwater sights are equally impressive, thanks to fish-filled coral heads just off shore. A 20-minute boat ride transports visitors to the Belize Barrier Reef for an even more expansive look at the region’s famous aquatic ecosystem. 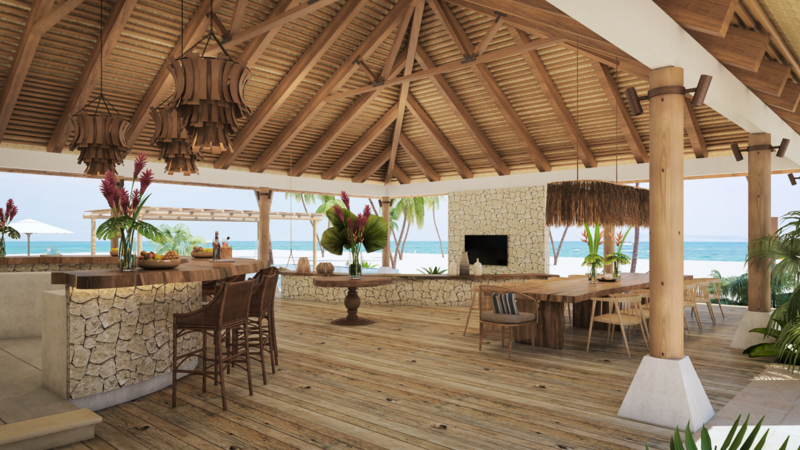 “We cannot wait to share Kanu and help our guests tailor the perfect experience,” Krolow said. 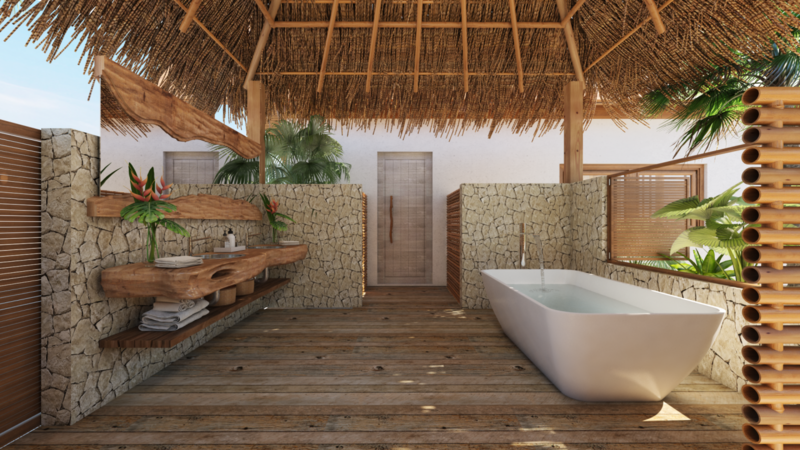 “It truly is one of the most stunning islands we’ve found in Belize.” Booking inquiries for Kanu are welcome now. 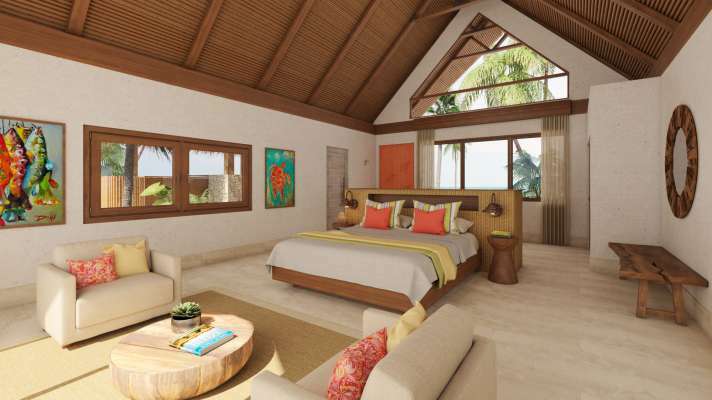 USD 3,950 per night for exclusive use of the entire island for up to 8 adults based on double occupancy for a 7+ night stay. 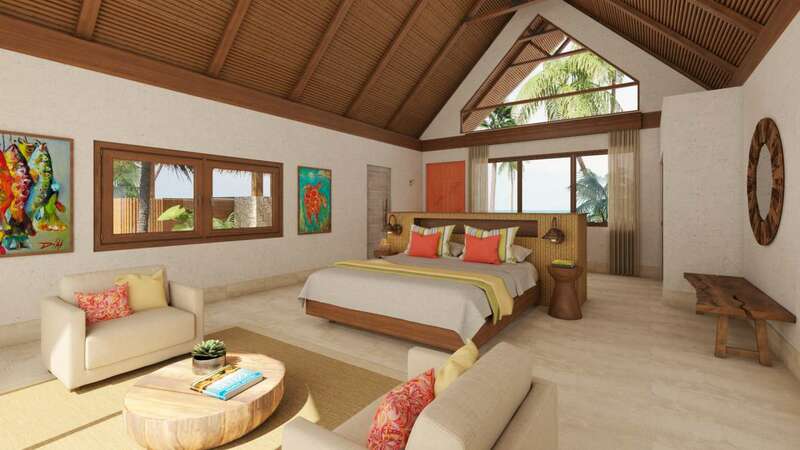 USD 4,250 per night for exclusive use of the entire island for up to 8 adults based on double occupancy for a 4-6 night stay. Nightly surcharge for more than 8 adults: USD 175 per adult and USD 100 per child. Kanu can accommodate an additional two adults (double occupancy) for a total of 10 adults and up to 10 children. 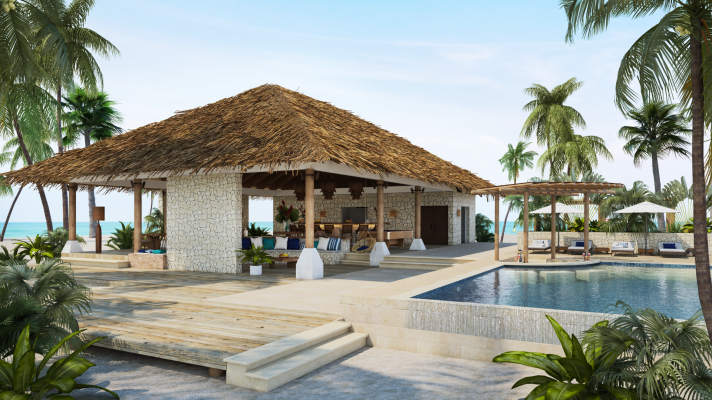 Rates do not include 9% Belize tax. *all transfers from and to the island, all accommodations, all meals prepared by your personal chef, all local beverages including local beer and spirits (premium alchohol available at an additional charge), personal concierge services, personal boat captain, personal fishing and snorkeling guide, up to 4 complimentary massages per day, housekeeping, Internet/Wifi, unlimited use of kayaks, paddle boards, catamaran, snorkeling gear and all other sporting equipment.